Menishia hugs her 8-year-old daughter, Angelina, after picking her up from Adams Elementary School. The family has been homeless for nearly two years and getting to school on time is a constant struggle. There’s a late-winter chill in the house. A space heater is trying to do the work of a busted furnace. Angelina rubs the sleep out of her eyes as her mom gets her washed up and dressed. It’s 8:45 in the morning. The 8-year-old is already late for school. 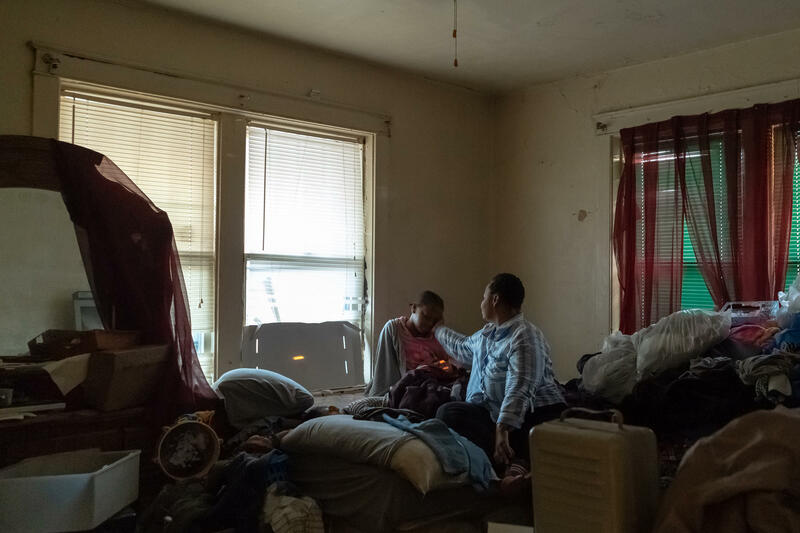 She didn’t go to bed until after 2 a.m., because sleeping at her great-aunt’s home in the Walnut Park neighborhood in north St. Louis was not the plan. They couldn’t get into her mom’s sister’s apartment a few miles away. So it was back on the bus. Late nights turn into frantic mornings. 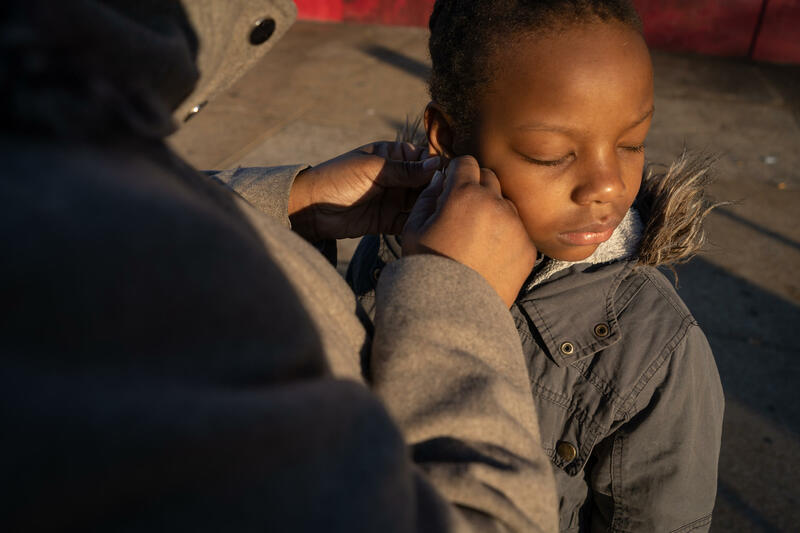 The second-grader is one of more than 30,600 homeless children in Missouri, a number which is on the rise. Angelina, her 2-year-old brother and their mother, Menishia, have been homeless for nearly two years. (St. Louis Public Radio is only using the family's first names to protect their privacy.) How they got into what Menishia calls "my situation" is complicated; a cascade of unfortunate events. 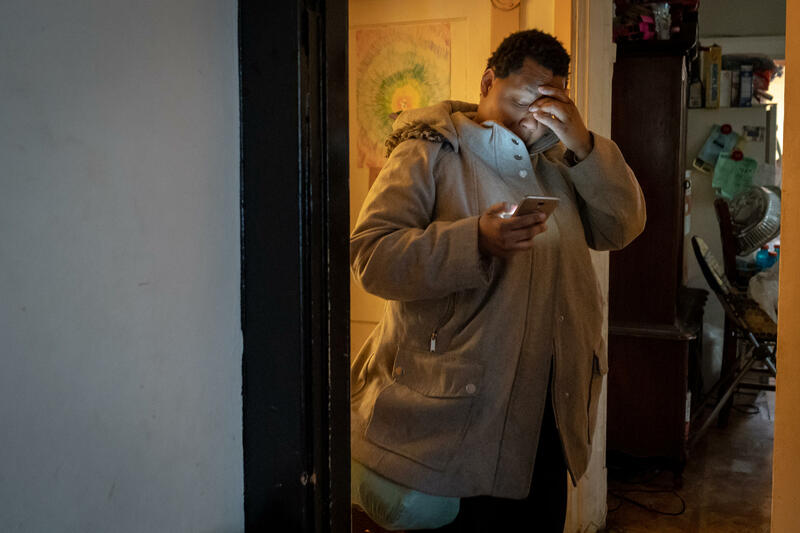 A lost job, a Section 8 housing voucher revoked, an injury as a bystander in a drive-by shooting. For the more than 30,600 homeless students in Missouri, making it to school on time is just one of many challenges to completing an education. 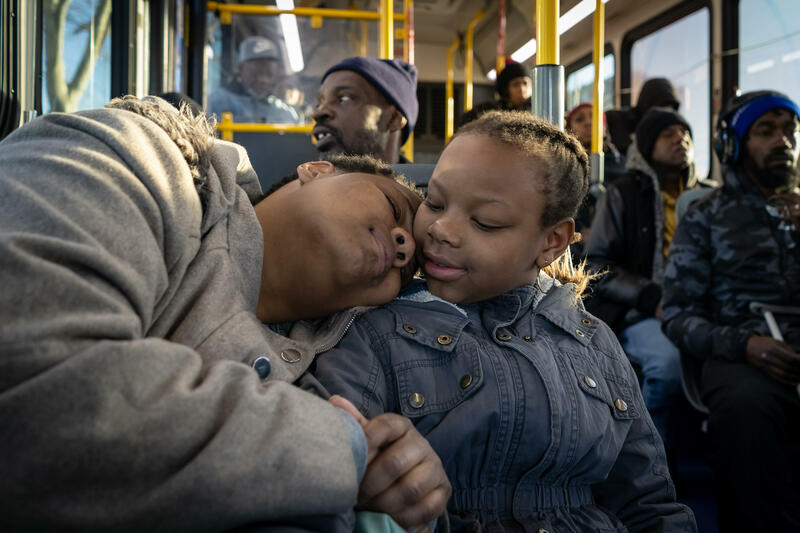 Angelina and her mom, Menishia, spend hours on the bus every day getting to school and finding a place to sleep. They’ve stayed at friends’ houses a few weeks at a time. A minivan had been home, but it was stolen in September. After spending part of the winter in a shelter, they’ve gone between Menishia’s aunt and a sister. 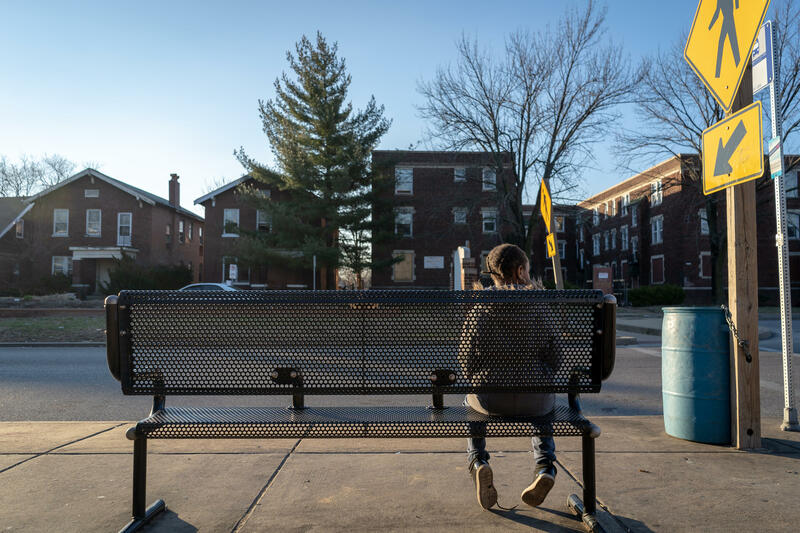 About one-in-six St. Louis Public Schools students is homeless. The vast majority shuttle between couches, floors or sharing beds at friends’ and family’s homes. Angelina is handed a piece of buttered toast with cinnamon on top, the way she likes it, as she’s shepherded out the house. Crumbs fall on the sidewalk as she hustles to the bus stop. Menishia will grab a free cup of coffee and cookies from the bank branch near her daughter’s school. It’s all she eats some days. Angelina goes to Adams Elementary School, in The Grove, six miles from her great-aunt’s house. Education law requires schools to provide homeless students with transportation, but because there’s little predictability in where she’ll sleep, the school can’t organize a taxi to pick Angelina up every day. Instead, the school district provides the family with bus passes. She’s late nearly every day. As they stand on a sun-drenched corner, Menishia puts gold hoop earrings on Angelina and wipes her face. 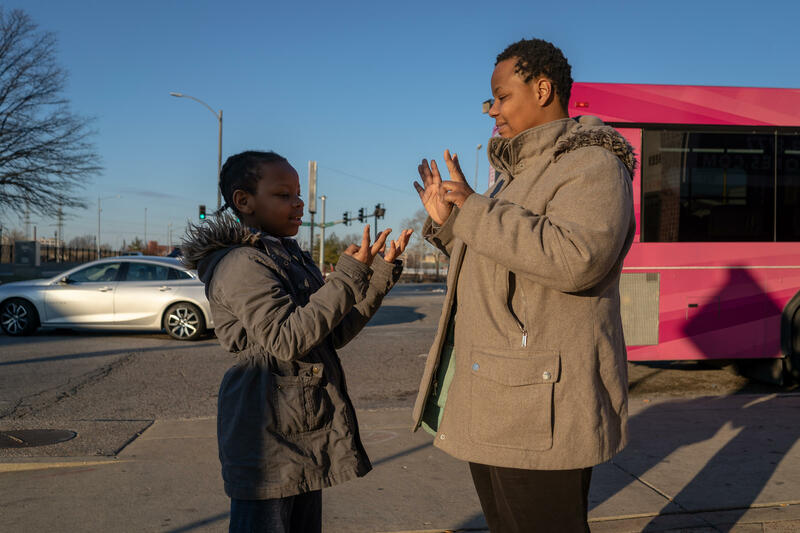 When they get to school, Menishia will ask the school’s social worker about keeping a change of socks and underwear for the next time she’s unable to get to Angelina’s clean clothes stashed in trash bags and plastic tubs at other people’s homes. Menishia quizzes Angelina in math as they wait for a bus. By being late so often, she regularly misses the morning’s reading lesson. Angelina’s grades and test scores will probably suffer the longer she’s homeless. She’s less likely to graduate than her peers with stable housing. Angelina switched from a charter school to Adams Elementary in December because it’s easier to get to by public transportation. 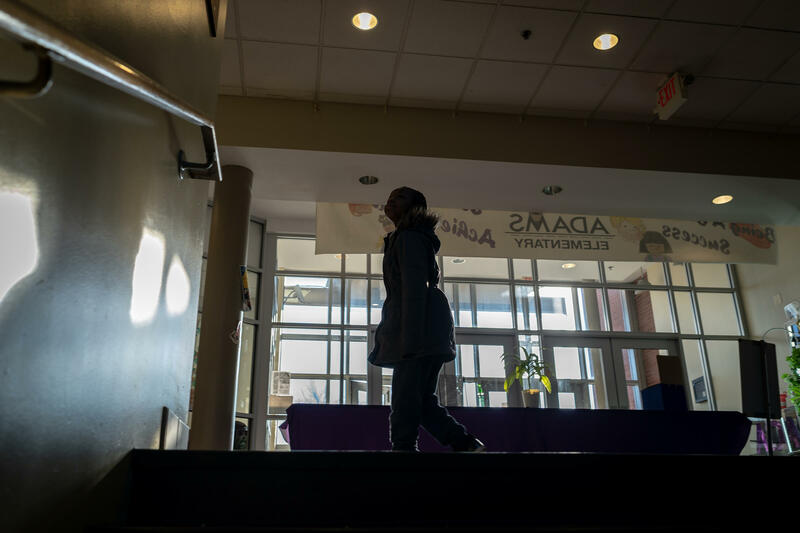 She’s allowed to stay in the same school even as addresses change, but switching schools is common among children without permanent housing, adding to the instability. “She’s not happy,” Menishia says about her daughter. Angelina spends almost five hours a day on the bus. After school, Menishia takes Angelina and her brother to a cousin’s in Kirkwood while she goes to a job doing part-time janitorial work. 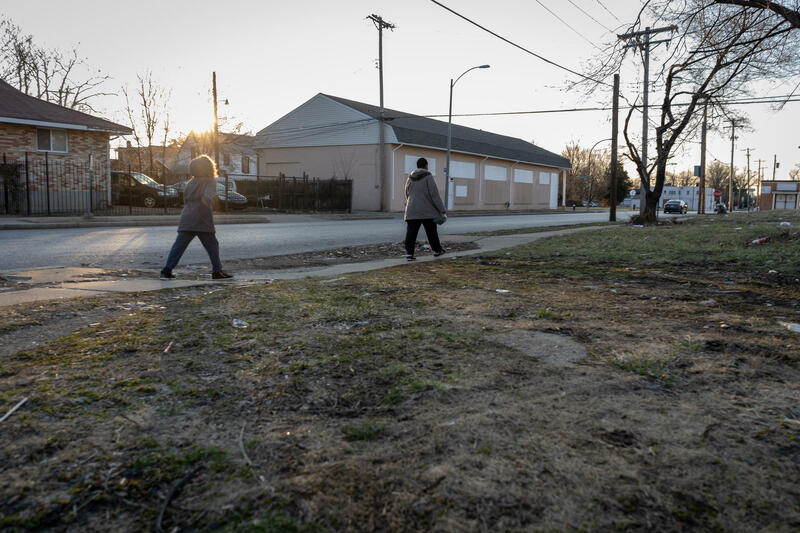 After she gets off work in Crestwood at 9:30 p.m., it’s well after midnight by the time she’s picked up her kids and made it to a place where they can sleep. Angelina slumps in the plastic bus seats, sometimes dozing off during the long trips. Other times, she plays games or watches YouTube on her mom’s phone. Stable housing and transportation are the most tangible supports homeless students need. Angelina doesn't understand how someone could take their minivan. Menishia has taken some community-college classes and completed a computer coding program. She wants to get a job in IT support. “If I had one thousand, a million, jillion dollars, I will get a car. And I want to buy a house, too,” Angelina says.